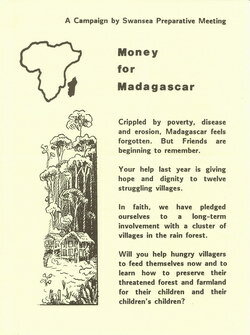 A leaflet issued by the charitable concern "Money for Madagascar", a campaign by the Swansea Preparative Meeting of the Society of Friends. The leaflet introduces Madagascar, some of the issues it faces, and some of the charity's projects there. 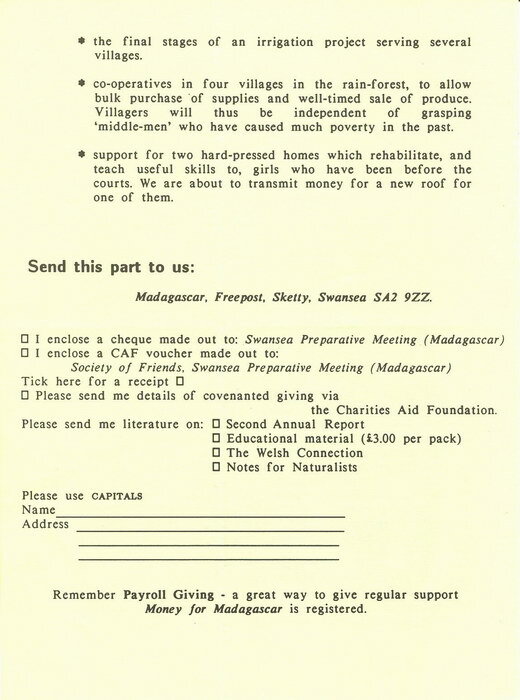 There is a form for making donations. Very Good. The leaflet has been folded lengthways, perhaps in order to fit it into an envelope.